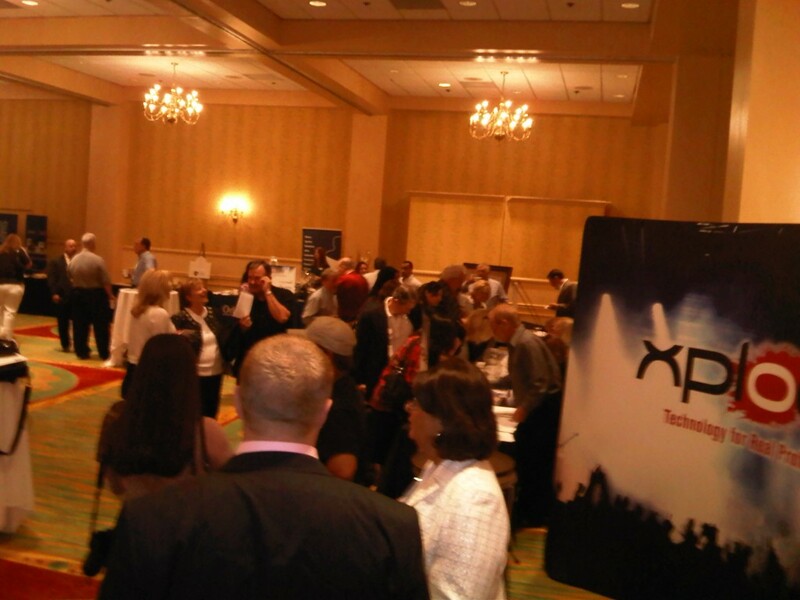 We’re at the Xplode Orlando Conference today and I’m excited to toss something new at you. See, every month or so, we go to a new conference. We do a few interviews here and there and we try and publish a recap post. 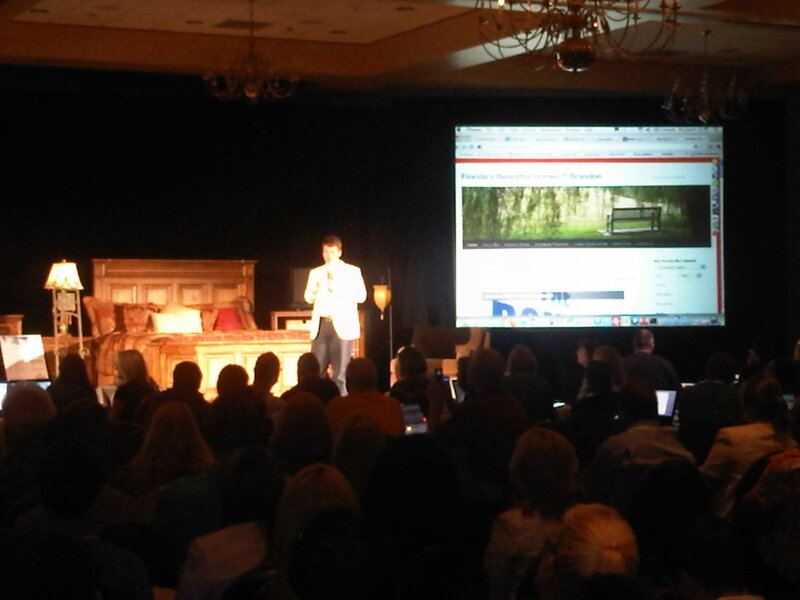 But today, I thought why not bring some of this conference back for you all to share… Live! So here’s the deal… I’ll be updating this post with photos, links, quotes and all kinds of other juicy stuff (so long or as long as the wifi holds up). 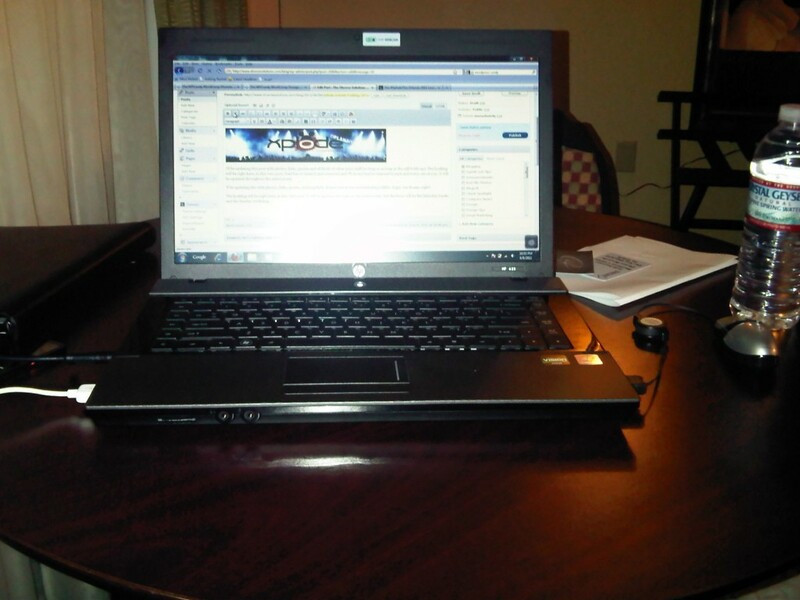 The liveblog will be right here, in this very post. Feel free to tweet it and comment and I’ll do my best to respond to each and every one of you. It will be updated throughout the entire event. 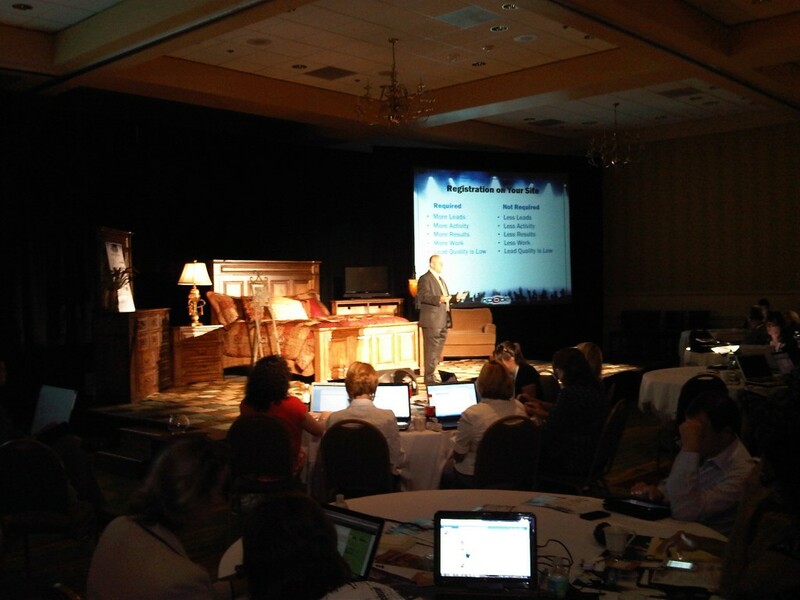 The sessions are very fast-paced, TED-style sessions, so I’ll do my best to keep up. 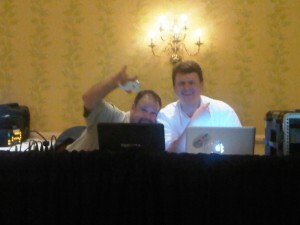 Wrap-up… Thanks to Matt Fagioli, Eric Stegemann and the rest of the Xplode Conference Team for rocking Orlando! Happy Grasshopper has some great liveblog’s for some of the sessions that we weren’t able to cover. You can access those posts and key take-aways here. 4:00 pm – Brian Wildermuth talks about CRM and managing relationships. Here’s a great recap post from Happy Grasshopper. 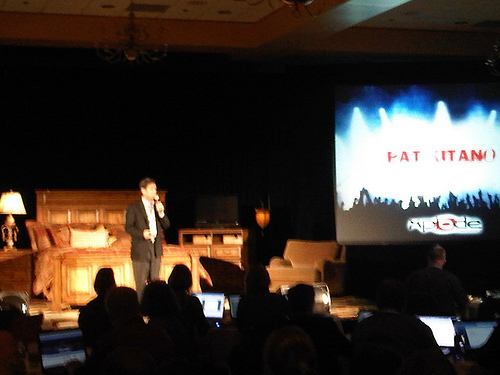 2:40 pm – Pat Kitano on the future of digital marketing. The problem with social media marketing is that it is transactionally inefficient. So what’s the solution? To focus on engaging 100% of your community by delivering breaking news for a community. You can do this by automating your social media efforts and utilizing social commerce to give people access to local deals that they’ll find valuable. 2:20 pm – Michael Botefuhr schools us on Zillow! Once someone has researched their purchase on Zillow, they’re going to want an agent. (At the very least) Register for your free profile on Zillow. Request reviews from your clients on your Zillow profile – remember, don’t be afraid to ask for the testimonial! Add the various zip codes you work in into your service coverage areas so that you show up on Agent Buyers lists. Advertise – this way, you’ll show up on all of the listings in a coverage area. The more people see your profile, the more likely they are to contact you. 1:30 pm – Stephen Pacinelli talking Online Reputation. Consumer generated content (what other people say about you). Consumers accept what people are saying about you if there’s enough reviews out there (good or bad). Don’t be afraid to ask your clients for testimonials! 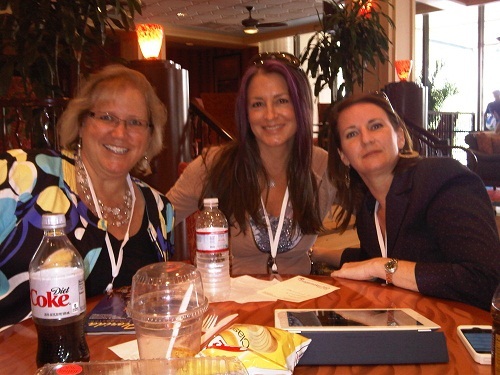 12:00 pm – Lunch with Cyndee Hayden, Chris Griffit, and Janie Coffey. BAMM!! (Inside joke). 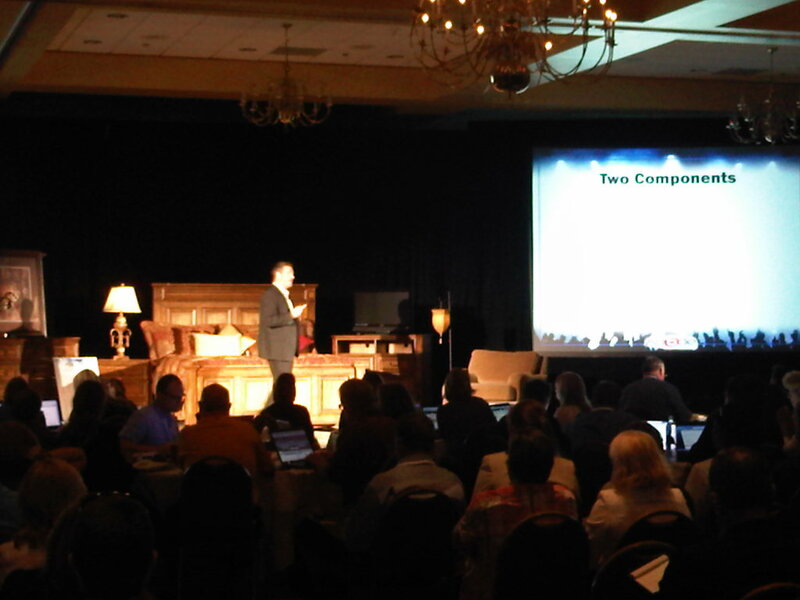 11:30 am – Eric Stegemann – Doing a live site critique! You have 2-3 seconds to capture someone’s attention when they come to your site. People generally want to know three things: 1.) they want to search for homes, 2.) they want to know what their home is worth, 3.) they want to know how the market is. People read websites in a Z-pattern. Ideally, consider putting your Home Search on the upper left-hand side of the page and your contact info placed prominently on the upper right-hand side. 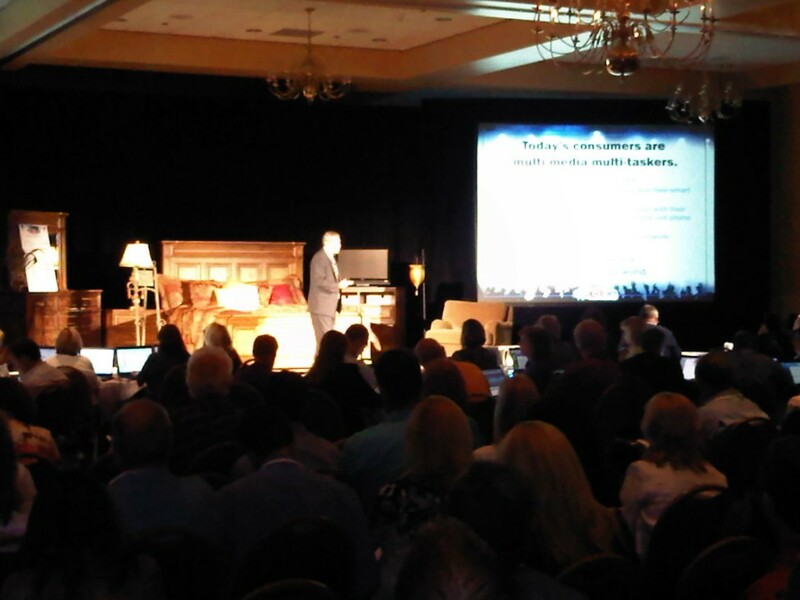 10:40 am – Stephen Schweickart on Video Optimization. YouTube is the 2nd highest ranking search engine in the world. Over 50 % of all internet activity is comprised of video. Video keeps people up to 6x’s longer on your site. 41% of people are more likely to click on video results than text results in searches. What kind of videos do people make? You need to focus on making yourself the local expert on ALL things real estate. A great example of this in action is Lowe’s Home 101 Video series. Sell the community before you sell the house. 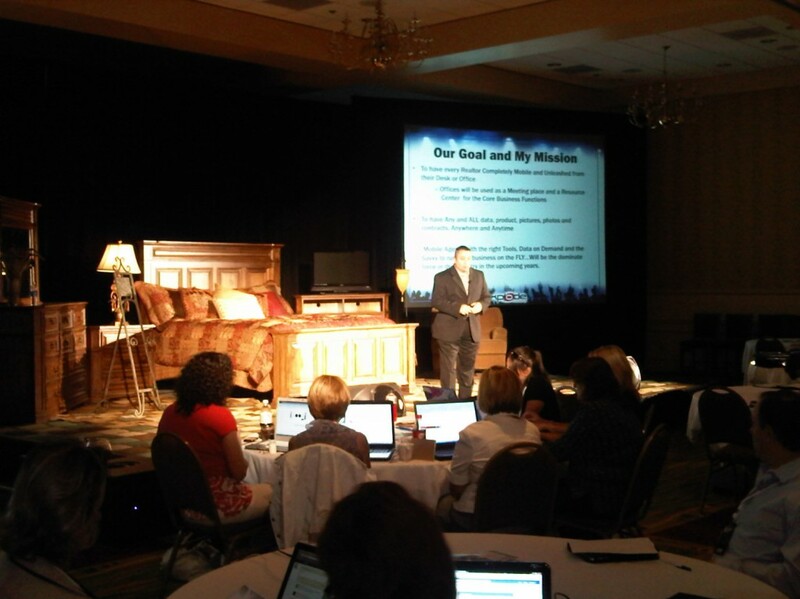 9:55 am – Scott Dixon on Integrated Marketing. This day in age, you need more than just a website to connect with consumers. You need to be where they are. Put money into the things that are driving traffic to your website instead of the things that are not. 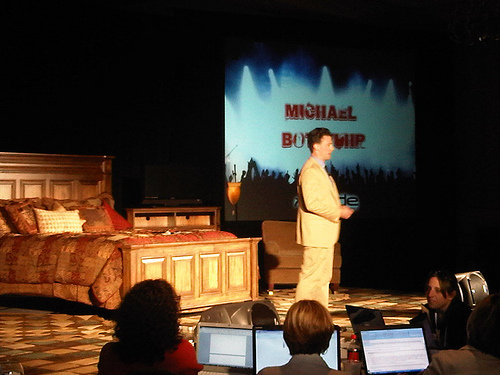 9:40 am – Mitch Ribak up next talking 5 Steps to Lead Conversion. What do you think: Forced Registration or Free Search? Tip: You don’t need to require phone numbers, but ask for them. 50% of them will be good and they’ll be expecting you to call them! 9:25 – Chris Brown & Matt Fagioli – What’s one thing, that if you did not do in the next 90 days, you’d be out of business? Do that and focus on building relationships! 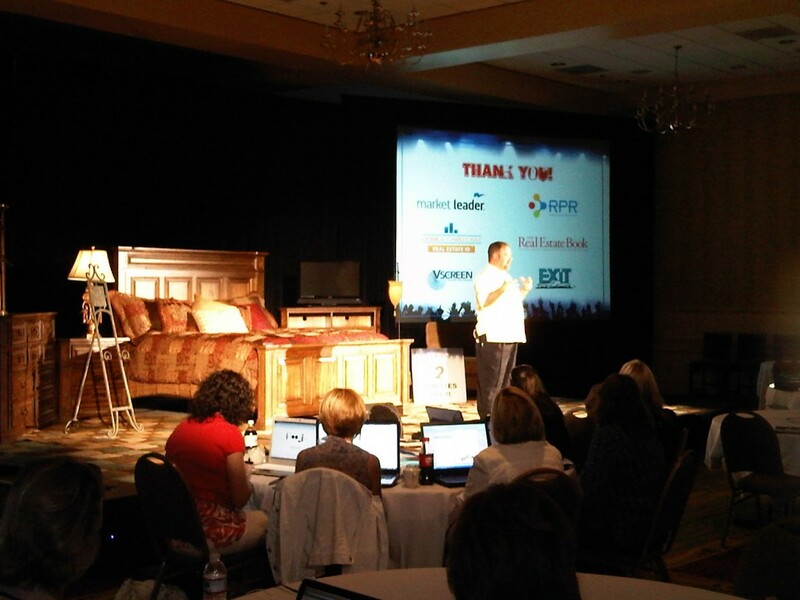 9:05 am – @JeffLobb talking to us about mobile. Consumers feel they know more about technology than Realtors. The impact of mobile… 286 million mobile phones in use in the U.S.
1. Realtor.com – iPad/Android – pretty neat drawing feature. 2. ReaddleDocs (PDF Expert) – will let you bring in content from all of your attachments. 3.Sign My Pad – iPad – take a pdf file of a contract, click “add text” and you can fill in contracts. 5. Evernote – iPad/Android – You can do audio notes, written notes on a listing and it’ll create a book for you. Bonus: Dropbox for cloud storage. 9:00 am – Matt Fagioli kicking things of. 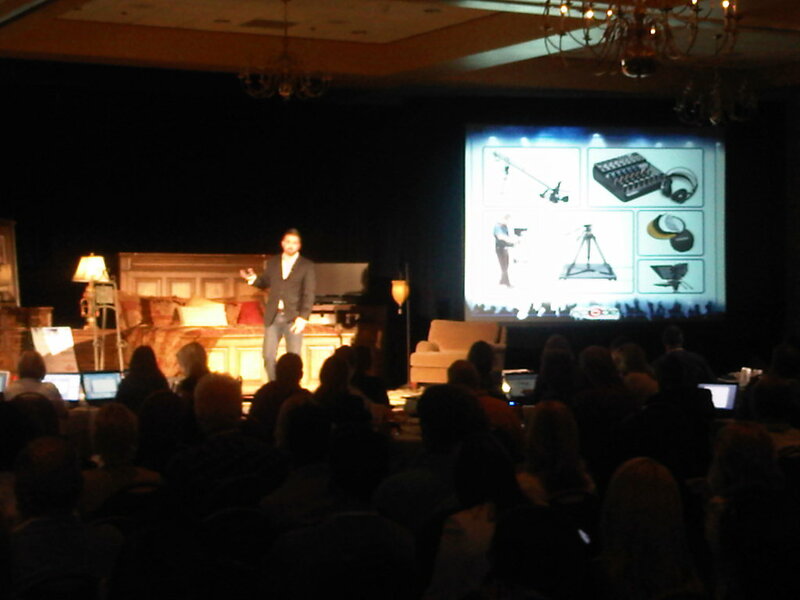 The focus of today is going to be on: video, mobile, social, search and systems. 8:00 am – Everyone’s getting registered. Time for coffee, mingling and networking with the sponsors. Hey Ricardo, this is really great! I know that was a lot of work. Thanks man! I’m not gonna lie, it was a little tricky trying to be in two places at once and capturing everything, but it was fun and Happy Grasshopper did some great coverage and wrap-up posts from the speakers as well! 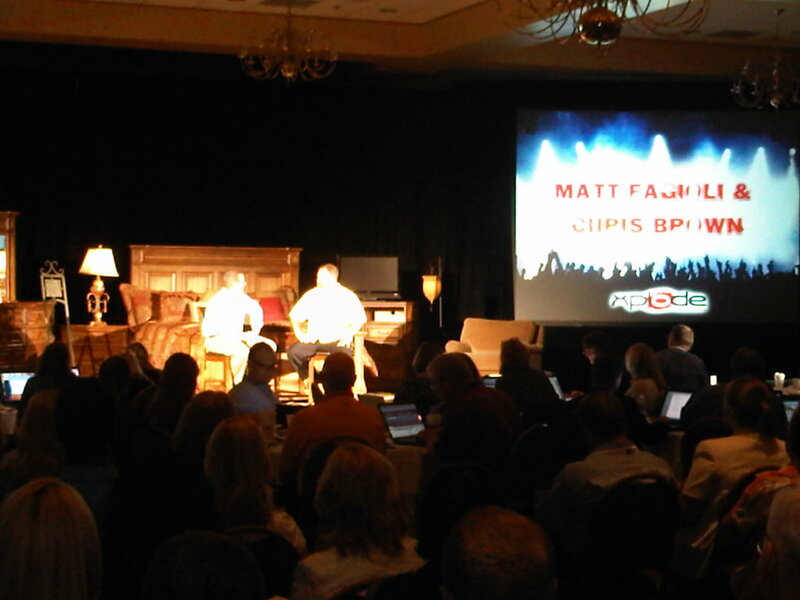 Thanks for having us Matt and thanks to you and the rest of the Xplode Team for rockin’ out Orlando! I didn’t catch this live, but it’s a great way to catch up on my favorite conference. Thanks for putting this together Ricardo.